Gay Mustang: Vitamin D and Light: Take The SAD Out Of Winter And Get Your Life Back! Vitamin D and Light: Take The SAD Out Of Winter And Get Your Life Back! Please note that I am NOT a doctor and all the information here is based on my own experience and research. Always check with your own doctor before making any changes to your overall health routine! Every year, I dread the winter because I have a love/hate relationship with it. …but I hate the sluggishness, fatigue, inability to concentrate, and melancholy that come with the darker, shorter winter days! 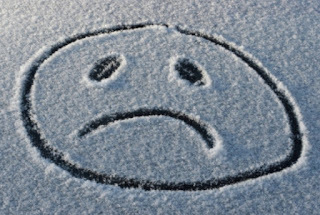 Scientists call this condition “Seasonal Affective Disorder” (SAD). I think people generally think of SAD as a disorder or a defect. We think of it as something that is wrong with us that we must fix. However - I believe the real root of SAD is the conflict between the requirements of our society versus our innate biological programming. Our society requires us to work 40 hours a week and maintain a relatively high level of activity all year long. This is at odds with our biological programming which causes us to slow down as the days get shorter in winter. Traditionally in winter, people on the farm would stay indoors more, and their activity levels and working hours would reduce after the harvest in parallel with the reduced daylight hours. Today though, we are required to maintain our full-time work hours all year long along with staying fit and keeping an active social life! It’s a lot, and we can often end up depressed and feeling like failures because we’re told that we should be able to be just as productive in the winter as we are in the summer - but the reality is that we aren’t naturally wired to live this way in winter. Since you’re likely not independently wealthy and have to work full-time for the whole year, you need some adaptations to get through the winter months while keeping your activity levels and productivity the same. I’ve tried many, many different things over the past 15 years to combat my own SAD. And I believe I’ve finally been successful in finding what works for me. So I want to share my method with you in the hopes that you can start enjoying life again, too! A surprising amount of us are vitamin D deficient. I got my vitamin D levels checked in March of this year, and they were 21.3 ng/mL on a scale of 30.0 - 100.0 ng/mL! I was very deficient! The recommended range of vitamin D is typically stated as somewhere between 50.0-80.0 ng/mL. 8 months later, after consistent supplementation, I'm up to about 44 ng/mL - a marked improvement, but I still have a ways to go. If you're extremely deficient, you may need vitamin D injections to help get you back to a healthy level. Vitamin D is actually a hormone, and it’s used in the body for many different purposes. The most commonly-known one is to help with calcium absorption. Since vitamin D is generated by the body when the lower layers of skin are exposed to sunlight, white people are less likely to be vitamin D deficient. Darker-skinned people are more prone to vitamin D deficiency in colder countries with less sunlight because skin pigmentation (melanin) acts as a sunscreen. Melanin is a great physiological adaptation in hot, sunny climates - but in colder overcast areas, it can cause low vitamin D levels. Muslim women who wear burquas, regardless of where they live, should DEFINITELY get their levels checked! My mom works with a Muslim woman who wears a burqua and this lady has extremely low vitamin D levels - to the point where she is now getting vitamin D injections to bring her levels up to normal. Low vitamin D levels can cause a variety of health problems, and they can definitely make you feel depressed. A book I read about vitamin D from which I learned a lot is called, “The Vitamin D Cure”. As I’ve done more research into Vitamin D, I’ve been finding that it is likely important to have other vitamins such as Vitamin K along with D for proper long-term health; I’m still looking into this, though. I recently learned from a friend that if you are HIV-positive, the virus gets in the way of your body's ability to build vitamin D. (I haven't done any research on this, so if you want to know more about this, do a bit of research to find out the goods on this.) So if you're HIV+, it might be wise to talk to your doctor about this. GIVE YOURSELF SOME LIGHT THERAPY! We really should be able to reduce our working hours and slow down during the winter. When the sun sets at 4PM, we should be able to pack up and go home. But unfortunately, that’s not reality! You need an adapter of sorts to get your body to work harmoniously with the current reality of our modern society. What has worked wonders for me has been light therapy. For the past few decades, light therapy for SAD was done using a full-spectrum light that closely simulated sunlight. You’d sit in front of one of these for maybe up to an hour a day and would feel better. They work by tricking your body into thinking it’s had more daylight than it actually has, and so it keeps your body operating in “summer hours”. Scientists have continued their SAD research and they’ve narrowed it down to specific wavelengths of blue light that’ll have the same effect on your body’s clock that a full-spectrum light does. I personally use the Philips goLITE BLU HF3332 light device, and I love it! It’s small, portable, easy to use and it’s really worked for me. I like it because I use it to wake myself up using light rather than an obnoxious alarm sound in the morning. I'll set it for 30-60 minutes before the time I want to get out of bed, and will lie in bed taking in the light until I'm ready to hop out of bed. For my body, timing of the light use is critical to experiencing improvements in my body and my mood. In the morning when I get up and it’s still dark outside, I use the light while I’m washing dishes and making coffee. I turn it off when real sunlight appears. On a sunny day, I’ll run it for 15-20 minutes in the morning. On an overcast day, I may run it for 30 minutes or more. I turn it off once I feel “good”. If I’ve used it too much, I’ll feel odd - I’ll feel a subtle mixture of over-alertness with a bit of anxiety. In the late afternoon, an hour or two before the sun starts to set, I’ll run it again for up to about a half hour, depending on how I feel. I think of it is as a “sunlight top-up”. I try and bookend the actual daylight hours with light therapy to extend my waking hours as naturally as possible. It has really worked wonders for me! Typically in winter, I want to do nothing else but sit in front of the TV, but now I find myself keeping active and happy. Of course there are the occasional sluggish days, but it’s natural to have those occasionally at any time of year. You’ll want to start using your light therapy device around mid-October, and you’ll probably naturally find yourself tapering off your light therapy anywhere from late February to some time in April. You’ll also find that light therapy is cumulative. So if you’re only starting your light therapy in November or December, you may need more of it at first to feel “normal”. ALL light therapy devices warn that those with bi-polar disorder should consult with their doctors prior to using light therapy. This is because light therapy for a person with bi-polar disorder can trigger a manic episode. If you have bi-polar disorder, schizophrenia, any other mental health issues, or photosensitivity, talk to your doctor about light therapy before treating yourself with it. GIVE YOURSELF SOME COMPASSION AND UNDERSTANDING! For me, starting in late September/early October, I’ll start to feel the initial effects of SAD. I’ll want to sleep more. I’ll find it harder to concentrate. It’s harder for me to work a full day. I may not be as productive as I am in the sunnier times of the year. I used to feel like a failure or a weak person when this would happen. But now, I practice some self-compassion. It’s not my fault that it’s harder for me to be productive in the winter. It’s literally in my DNA to react this way when daylight hours are reduced! So I accept that I’m not perfect and that I’ll do my best to meet my work and life’s requirements. Sometimes I fall short, and if that happens, I acknowledge that this is going to happen sometimes. You should do the same for yourself! It’s not your fault - so put in an effort to do the best you can, but don’t guilt yourself if you aren’t perfect. RESCHEDULE AND PLAN YOUR DAYS INTELLIGENTLY. I try to schedule my most intense work for the morning hours. By late afternoon, sunset is approaching, so I try to schedule less-demanding work for this period. I also will sometimes check out of work maybe an hour before it gets dark - and I make up for anything I missed during the week by putting in a couple of hours on the weekend during the daylight hours. I’ve learned that there’s no point in forcing myself to sit and write a technical document for two hours at 3PM on a Thursday, when I can easily and effortlessly spin out the same amount of work in half the time at 11AM on a Sunday morning. If you have major projects you want to accomplish, I would recommend scheduling the bulk of their work between the months of March and October, while planning to do minor projects between October and February. Doing this will set you up for the year with realistic expections on yourself for what you can achieve throughout the year so that you'll have successes in your life rather than setting yourself up for failure. PLAN YOUR PHYSICAL ACTIVITY FOR WHEN IT’S STILL DAYLIGHT OUTSIDE. Go to that yoga class or to the gym when it’s still light out in the middle of the day, perhaps over lunch. It’s easy to do something like this in the middle of the day. But by the time it’s dark outside and the end of your work day, if you’re anything like me, it’ll be impossible to drag yourself into doing some physical activity at this time. So do it in the middle of the day to break up your day, but also to ensure that you are being active. I’ve been finding that as my light therapy progresses, I’m able to, and I’m wanting to do physical activities after dark. You may find the same thing with your body. But when you’re just starting light therapy, scheduling your physical activity during daylight hours is easiest. If you’re suffering and missing out on life right now because of the reduced daylight hours, give some (or all!) of the suggestions a try - they just may be the trick for you, too! 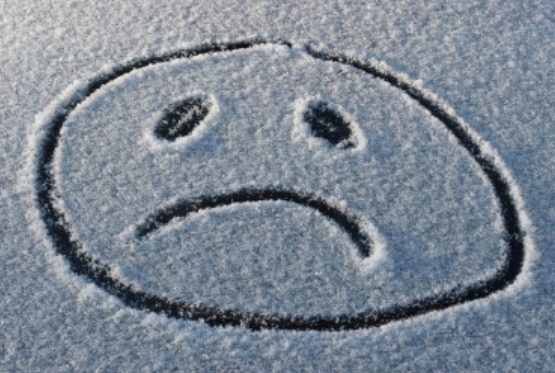 In parts of the world that have dark winters for 6 months of the year, you don’t want to ultimately lose half of your lifetime feeling miserable. It feels wonderful to have my life back over the winter, because up until recently, winter has essentially been lost time for me. Life’s already short enough, so I’m glad to finally be able to really live and enjoy life again during the winter time again!